Bounce houses are overrated, clowns are creepy, and swimming pools are loaded with bacteria...so how do you throw a party that everyone will be talking about for years? 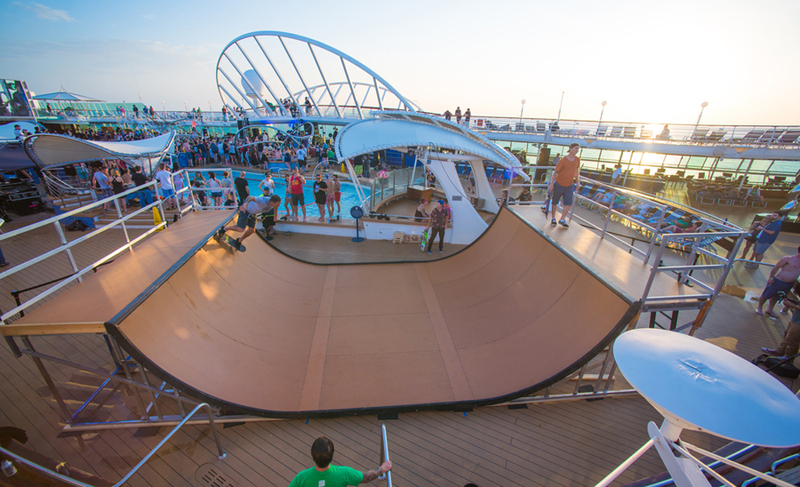 You rent a mini-ramp. 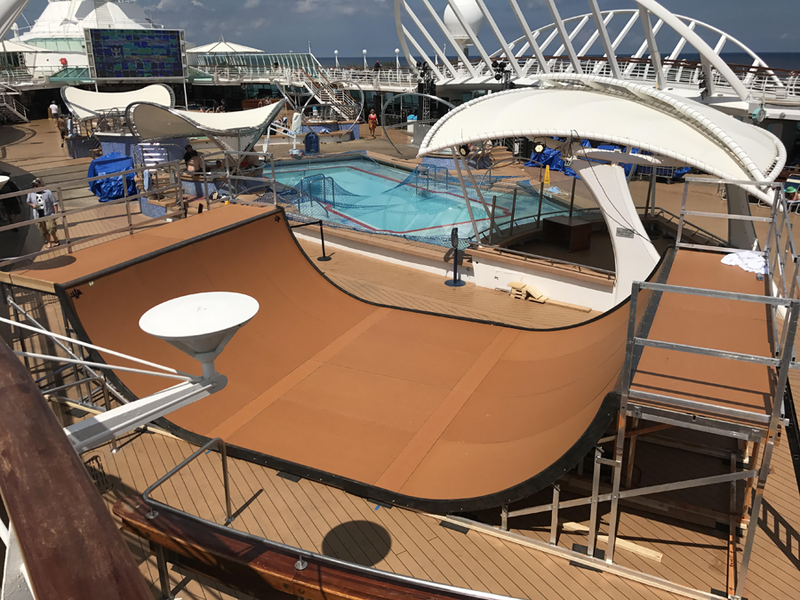 We now have a 5 1/2' tall, 16' wide half pipe that you can rent out for your own selfish reasons, including contests, birthdays, weddings, bar mitzvahs, company outings and more. 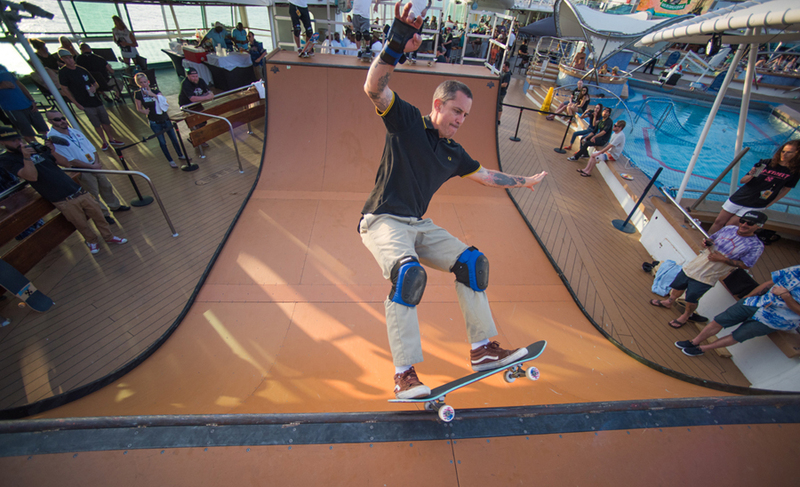 The ramp's first test was Flogging Molly's Salty Dog Cruise a few months back. We loaded this thing on a cruise ship successfully, and it was the highlight of the party. That's legendary Pro-Skater and Flogging Molly's accordian player, Matt Hensley getting his run in. 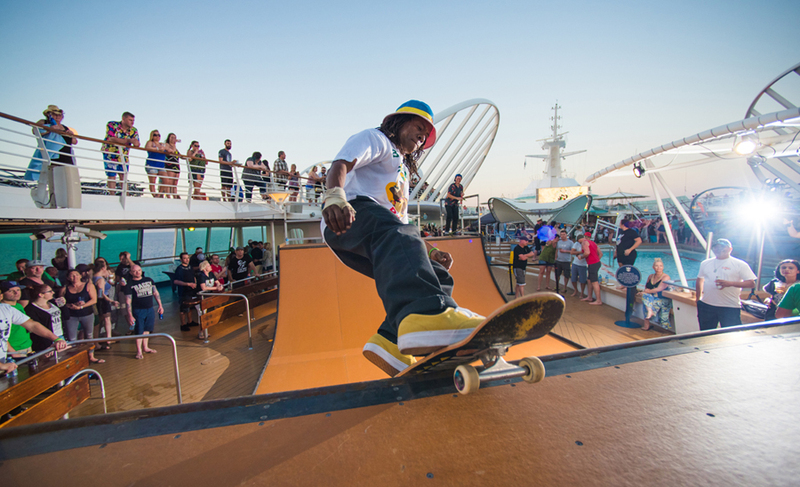 Ron Allen (another legendary Pro Skater), shows everyone how it's done. Let us run your contest or Mini Ramp Jam! We can run your event from start to finish: announcing, judging, contest formatting, etc. Contact us for contest packages.